Carnival Spirit resumed service from San Diego, Calif., last month following a multi-million-dollar dry dock that added an expansive aqua park featuring a one-of-a-kind water attraction, along with a new adults-only retreat and flat-screen TVs in all staterooms. 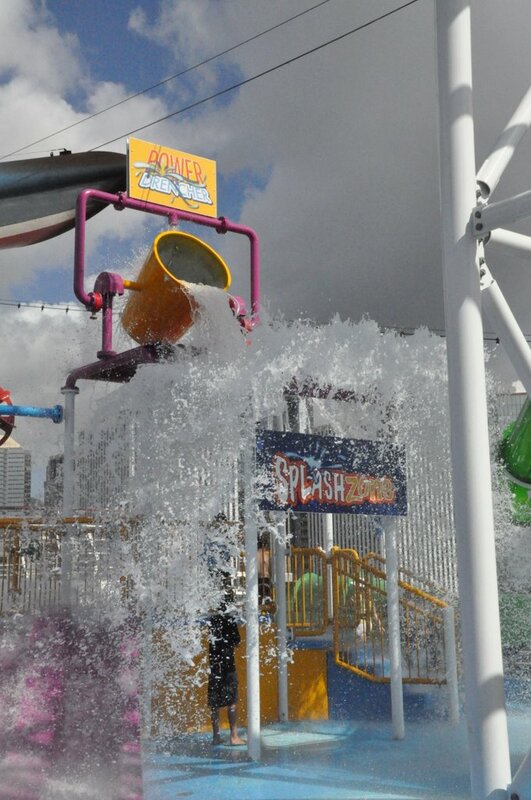 The new Green Thunder thrill slide takes center stage at the WaterWorks aqua park on Deck 11, rising nearly 100 feet in the air and featuring a heart-racing plummet followed by a hairpin turn that extends out over the ship’s side before the ride comes to an exhilarating end. In the spiral see-through slide, riders travel at speeds of more than 20 feet per second! Also new is a SplashZone complete with a 150-gallon PowerDrencher dump bucket and water play areas, complementing a corkscrew Twister water slide. The refurbishment also included Serenity, an adults-only retreat located on Lido Deck 9 offering magnificent ocean views. Here, guests can relax in a jumbo-sized whirlpool, kick back on chaise lounges, chairs and hammocks, take a dip in the pool, or enjoy a variety of frosty libations at the full-service bar. Additionally, new flat-screen LCD televisions were added to all of the Carnival Spirit’s 1,062 staterooms.